JNU vice chancellor M Jagadesh Kumar has been appointed a member of the University Grants Commission. Jagadesh had been criticised for allowing the police to enter the campus in February, when three students were arrested for allegedly raising anti-national slogans at an event to commemorate the hanging of Parliament attack convict Afzal Guru. Kumar's UGC appointment will not affect his term as JNU vice-chancellor, says The Telegraph. At the UGC, Kumar plans to take up two particular issues. He said: "One problem students face is timely release of scholarships. The other is devising schemes to encourage innovative research in universities. I would like to focus on these two to begin with." At JNU, Kumar was not only criticised for allowing the police to enter the campus in February, but also faced a problem when students and teachers boycotted the report of an enquiry committee he set up, on the grounds that it was biased and the students were not permitted to defend themselves. Students and teachers had gone on a hunger strike in protest against the punishments recommended by the committee. "I hope he will act in a consultative and democratic manner. His appointment to the UGC should be taken as a matter of pride for JNU," said JNU Teachers' Association secretary Bikramaditya Choudhary, who had been part of the hunger strike. 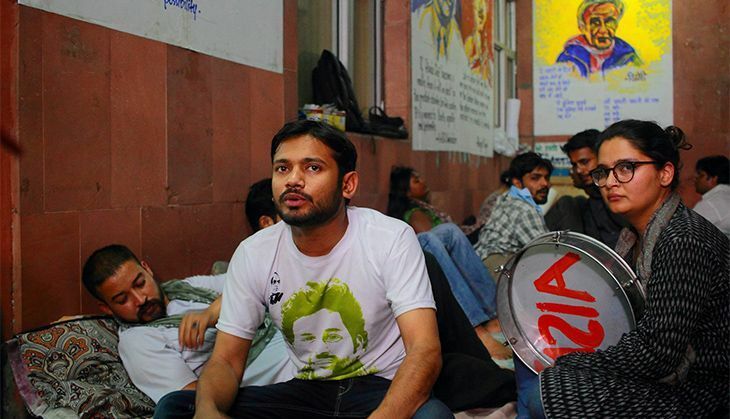 JNU Students Union president Kanhaiya Kumar, who had been arrested for sedition and released on bail, said: "The objective of education in JNU is not to merely prepare us for professions, nor does it turn us into mechanical human beings. It fosters critical thinking and social responsibility. The VC has not been able to contribute to this in JNU, but I sincerely hope he is able to at least take some of the ideas he has been exposed to in JNU and help the UGC frame progressive policies that would benefit students."